Madura is an island located not far from Java island, Surabaya – eastjava province. 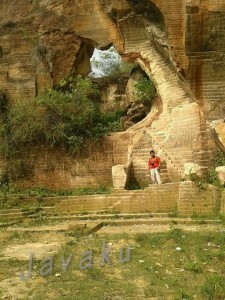 In Madura, there are some tourism places that some people are don’t know yet. Starting point from Surabaya city, this tour package duration takes about 9 to 10 hours. This tour package could be a easy package for those who just spend a day in Surabaya. Our guide will pick you up at airport / hotel / train station in Surabaya are, then drives directly to Madura island passing through Suramadu Bridge. First place that we going to visit is Toroan Waterfall. This waterfall is the hidden one, can not be seen from the road, and this waterfall is located next to the beach. 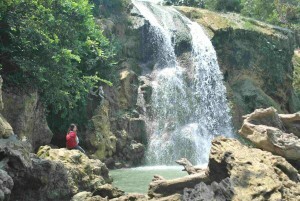 After visiting Waterfall, then continue the trip to the limestone hill which is located about 35 km from this waterfall. 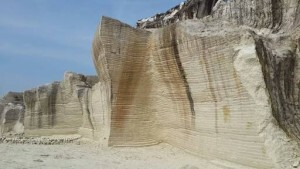 At this limestone hill, you will enjoy the beauty of limestone hill panorama. Then on the way back to Surabaya, before leaving Madura island, we will take you to others limestone hill which is located not far from Suramadu bridge, at this limestone hill, there is also public swimming pool and nice photo spots. At the end of this tour package, you will be transferred back to your choosen hotel in Surabaya or to airport / train station ( Surabaya area ). This tour package can combine with others package such as Surabaya city tour , Bromo Midnight tour , and others package. For further information and reservation, do not hesitate to contact us. Our team will arrange for your vacation in eastjava province. Phone : +6281234856318 ( 24 hours ). Payment Method The safer, easier way to pay.